Gonzo on the game show To Tell the Truth in 1967. Everyday I watch/listen to hours of game shows on the Game Show Network. My grandmother has terrible vision now so it’s really one of the few things she enjoys watching and can easily follow along with. That being said I have seen every Lingo (new and old), every Deal or No Deal, every Match Game ’74 & ’75, all the Card Sharks, and finally all the $25,000 Pyramids. 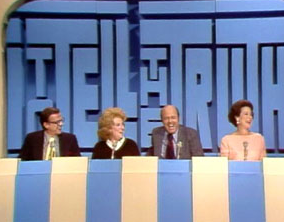 Although some are fun to watch, I particularly am sick of the stale line-up on GSN. 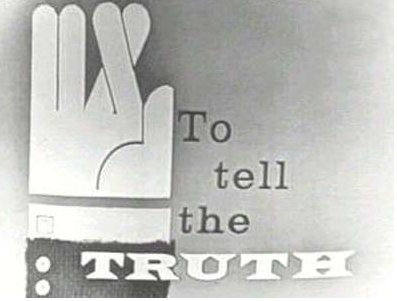 I remember watching that channel when I was a little younger and they had a ton of old goodies – the one that always stood out for me was To Tell the Truth. 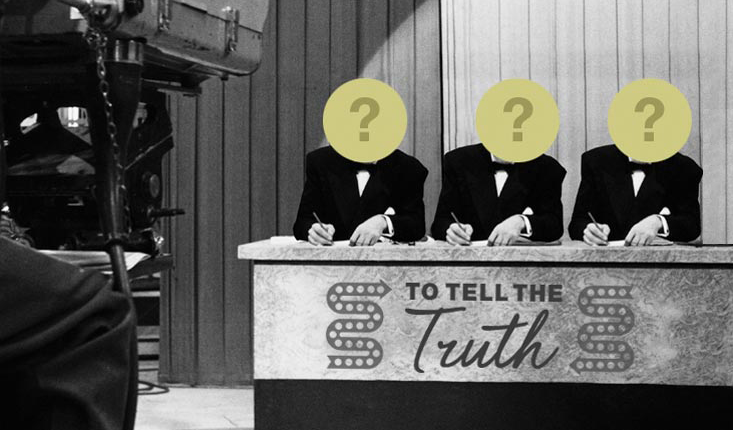 A game show from the 50’s-60’s where 3 people would claim to be one person and a panel of celebrities had to ask questions to figure out who was actually the person and who the 2 liars were. Most notably and quite bizarrely, Hunter S. Thompson was a contestant on the show right after he wrote the book about his experiences with the Hell’s Angels. I of course didn’t really know anything about Gonzo or his legacy, but this episode always stuck out as one of the best moments in game show history for me. It is so interesting, yet there isn’t that much information about it – clips like the one above show how ‘Gonzo’ he was at that time and Kitty Carlisle trying to ask him a question. I mean really who got him on this show and why?! I highly doubt that the people watching the show back in the 60’s were the demographic that Hunter’s books/lifestyle/attitude appealed to, but who knows maybe this little game show launched him into infamy? Regardless it’s my favorite moment from my favorite game show – that can now only be seen on YouTube with poor quality footage that some how made it to digital form. GSN if you ever read this – BRING BACK TO TELL THE TRUTH! < Previous Create your own (nerdy) custom calendar!